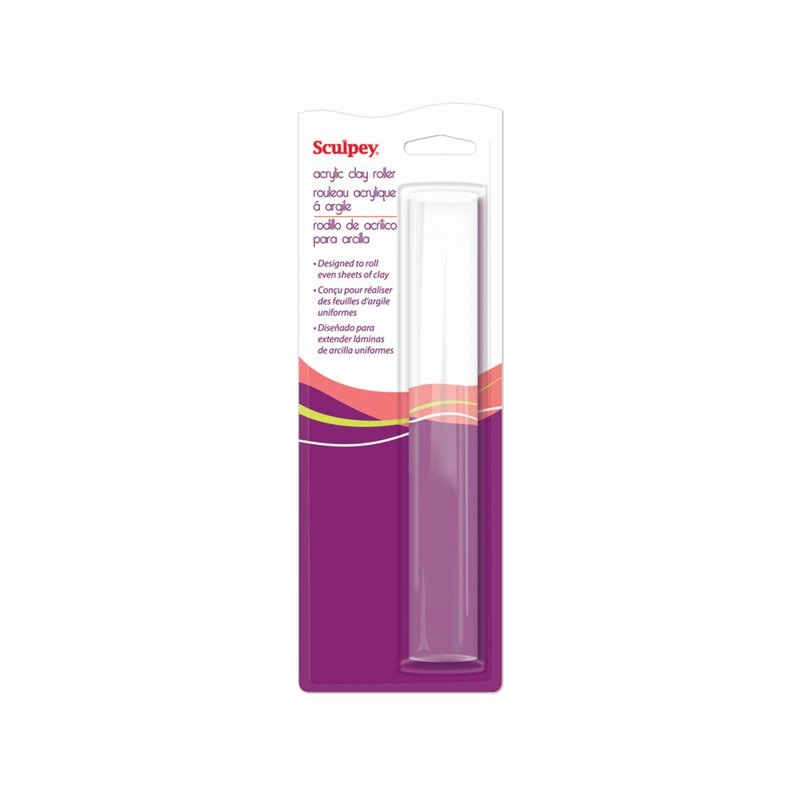 This 8" clear acrylic roller has a non-stick surface to roll smooth, even sheets of clay. Works great for pressing Texture Maker designs onto clay. A bit about the brand: Sculpey is a type of polymer clay that can be molded and put into a conventional oven to harden. A leading brand in the market, it comes in a great variety of colours and sizes. I love working with this roller its great!